The monument commemorates the Major Mitchell expedition which passed through the area in 1836. 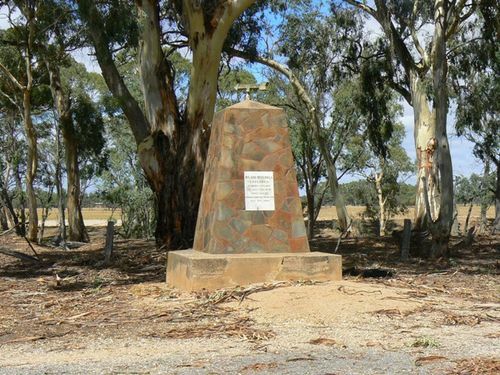 Monuments and memorials to commemorate Major Mitchell’s epic 1836 journey can be found in many locations throughout South-western Victoria. Mitchell crossed Victoria’s northern and western plains, found a European settlement already established at Portland, and returned to New South Wales to give a glowing account of the rich land of ‘Australia Felix’. One hundred years later, local communities at points along his former route engaged enthusiastically in a bout of centennial monument building. After war memorials, the Mitchell monuments are the most common form of public commemoration in the region.